More viewers continue to follow the intense story of “Kadenang Ginto” as it scored 23.9% last Thursday (March 21), a 10-point lead versus “Inagaw na Bituin” (11.5%) according to Kantar Media. 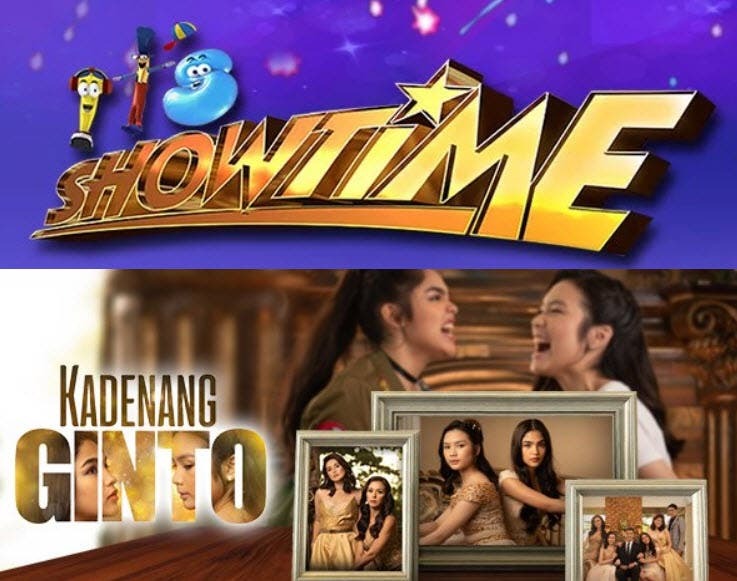 Meanwhile, “It’s Showtime” sustained its position as the most watched noontime variety show in the country with 20.1%, beating “Eat Bulaga” that only got 10.4% last Thursday (March 21). 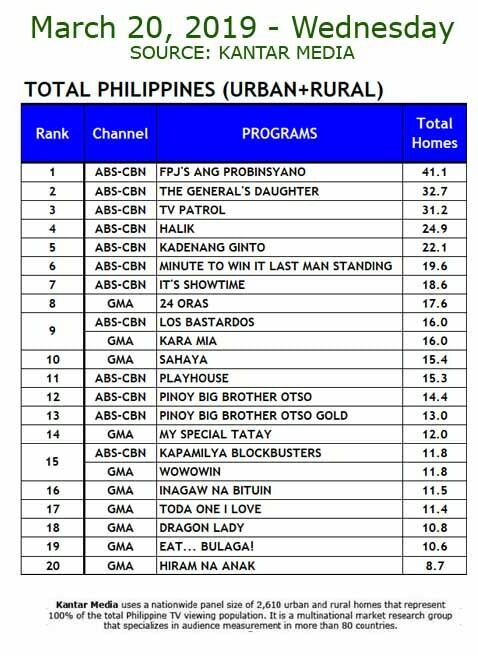 “The General’s Daughter” maintained its double-digit lead against rival “Sahaya,” recording 32.7% last Wednesday (March 20) and 34.2% last Thursday (March 21). 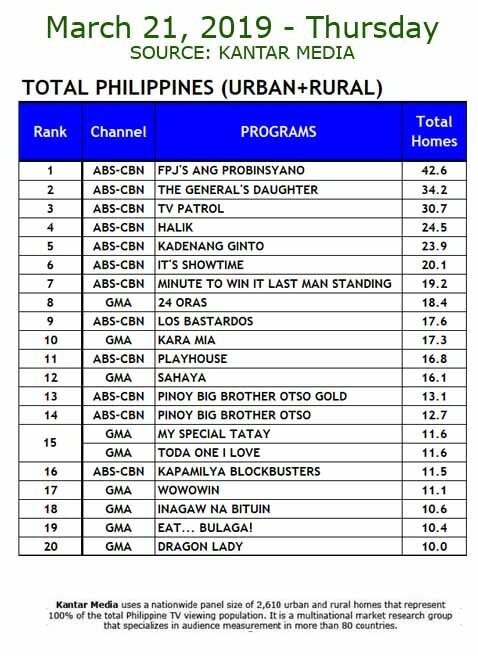 “FPJ’s Ang Probinsyano” remained unrivalled as the most watched show nationwide with 41.1% last Wednesday (March 20) and 42.6% last Thursday (March 21).